英文摘要：Two sac spider species, Clubiona bipinnata sp. nov. and C. rama Dankittipakul & Singtripop, 2008 from Hainan and Yunnan provinces of China are identified, described and illustrated. C. rama is recorded from China for the first time. Sampling records of these two species are given in the map. Specimens are deposited in the specimen room of Guizhou Education University. 李枢强, 林玉成. 2016. 中国生物物种名录 第二卷 动物 无脊椎动物(Ⅰ):蛛形纲:蜘蛛目[M]. 北京:科学出版社. 张锋, 朱明生, 宋大祥. 2007a. 西藏自治区管巢蛛属2新种记述(蜘蛛目:管巢蛛科)[J]. 辽宁师范大学学报(自然科学版), 30(1):90-92. 张锋, 朱明生, 宋大祥. 2007b. 云南管巢蛛属3新种记述(蜘蛛目:管巢蛛科)[J]. 河北大学学报(自然科学报), 27(4):407-411. 张古忍, 胡运谨. 1991. 中国管巢蛛属三新种记述(蜘蛛目:管巢蛛科)[J]. 动物分类学报, 16(4):417-423. 张永靖, 尹长民. 1998. 中国管巢蛛属六新种[J]. 动物分类学报, 23(1):10-17. Almquist S. 2006. Swedish Araneae, part 2-families Dictynidae to Salticidae[J]. Insect Systematics & Evolution, Supplement, 63:285-601. Dankittipakul P, Singtripop T. 2008a. Five new species of the spider genus Clubiona Latreille (Araneae:Clubionidae) from Thailand[J]. Zootaxa, 1747:34-60. Dankittipakul P, Singtripop T. 2008b. Spiders of the Clubiona corticalis group from Thailand, with descriptions of three new species (Araneae:Clubionidae)[J]. Zoological Studies, 47(5):644-656. Dhali DC, Roy TK, Saha S, et al. 2016. On the new sac spiders (Araneae:Clubionidae) of Dooars, west Bengal, India[J]. World Scientific News, 50:278-305. Dhali DC, Saha S, Raychaudhuri D. 2017. Litter and ground dwelling spiders (Araneae:Arachnida) of reserve forests of Dooars, west Benga[J]. World Scientific News, 63:1-242. Dong XY, Zhang F. 2016. One new species of the Clubiona trivialis-group (Araneae:Clubionidae) from Hebei province, China[J]. Acta Arachnologica, 65(1):7-10. He JC, Liu XL, Zhang F. 2016. Two new species of Clubiona Latreille (Araneae:Clubionidae) from China[J]. Zootaxa, 4208:494-500. Liu P, Yan HM, Griswold C, et al. 2007. Three new species of the genus Clubiona from China (Araneae:Clubionidae)[J]. Zootaxa, 1456:63-68. Liu P, Peng XJ, Yan HM. 2016. Five new species of the Clubiona corticalis species group (Araneae, Clubionidae) from China[J]. Zootaxa, 4184:561-575. Wang M, Wu PL, Zhang F. 2015. Descriptions of two new species of the Clubiona corticalis-group (Araneae:Clubionidae) from China[J]. Acta Arachnologica, 64(2):83-89. World Spider Catalog. 2017. World Spider Catalog. Natural History Museum Bern[DB/OL].[2017-11-11]. http://wsc.nmbe.ch,version 18.5. Wu PL, Zhang F. 2014a. One new species of the Clubiona obesa-group from China, with the first description of Clubiona kropfi male (Araneae, Clubionidae)[J]. ZooKeys, 420:1-9. Wu PL, Zhang F. 2014b. A new species of the spider genus Clubiona from China, with description of the male of Clubiona qiyunensis (Araneae:Clubionidae)[J]. Acta Zoologica Academiae Scientiarum Hungaricae, 60(3):207-215. Wu PL, Zheng G, Zhang F. 2015. 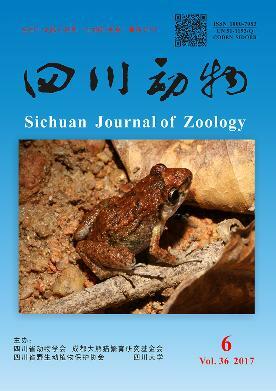 Two new species of the Clubiona corticalis-group from Yunnan province, China (Araneae, Clubionidae)[J]. ZooKeys, 496:15-25. Yu H, Chen J. 2017. A new species of the Clubiona pteronetoides-group from Wuling Mountains, China (Araneae:Clubionidae)[J]. Acta Arachnologica Sinica, 26(1):38-40. Yu H, Sun ZX, Zhang GR. 2012. New taxonomic data on the sac spiders (Arachnida:Araneae:Clubionidae) from China, with description of a new species[J]. Zootaxa, 3299:44-60. Zhang F, Zhu MS, Song DX. 2007. New discoveries of the male spiders of Clubiona taiwanica and Clubiona zhangmuensis from China (Araneae, Clubionidae)[J]. Acta Zootaxonomica Sinica, 32(1):38-40. Zhang F, Zhu MS, Song DX. 2007b. Two new species of the genus Clubiona from Xizang autonomous region, China (Araneae, Clubionidae)[J]. Journal of the Liaoning Normal University, Natural Science Edition, 30(1):90-92. Zhang F, Zhu MS, Song DX. 2007c. Three new species of the genus Clubiona from Yunnan Province, China (Araneae, Clubionidae)[J]. Journal of Hebei University, Natural Science Edition, 27(4):407-411. Zhang F, Zhu MS. 2009. Three new species of the genus Clubiona from Xizang and Sichuan, China (Araneae, Clubionidae)[J]. Acta Zootaxonomica Sinica, 34(4):725-729.